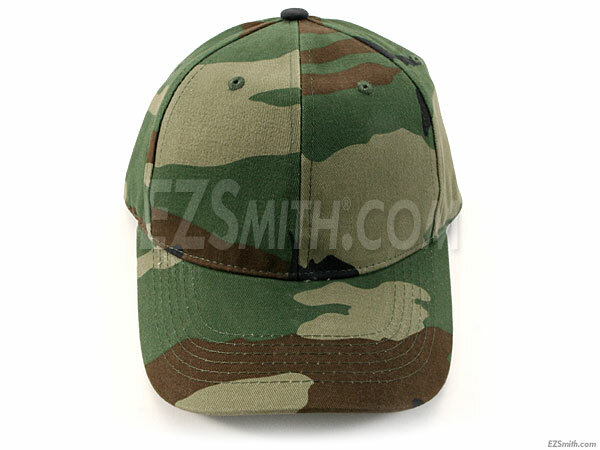 These are very high quality 100% brushed cotton twill low-profile caps. They feature a padded sweatband with a fully adjustable T-Slide metal buckle with (hide-in-cap) recess for the extra adjustment strap. These are double-stitched and reinforced. They are the same high quality that you'll find with sports team and/or professional hunting manufacturer logos, at 1/3 the price. If you like camo ball caps, load up! These are great!